Global shipping giant Maersk wants to wrap the world in a blockchain. 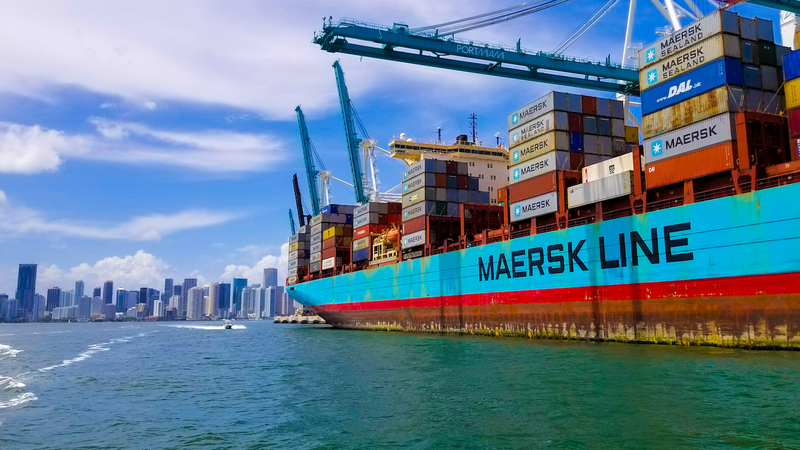 With access to a shared, trusted record of transactions, Maersk executives say, the world’s shipping companies would save money and be able to better compete on enhanced services. And the company has developed its technology using the Fabric software contributed by IBM to the open-source Linux Foundation, to do just that. Yet one roadblock still remains: finding a way to sell a collaborative system to a bunch of competitors. So Denmark-based Maersk and IBM have decided that by spinning off the project into a standalone entity, they might have more success in attracting Maersk’s rivals to the solution. Announced today, the yet-to-be-named joint venture is awaiting final regulatory approval, but the idea is that a well-rounded advisory board (which is still being established) would help ensure transparency and a level playing field among participants. Unlike a typical startup situation, though, the technology behind the venture has already been widely tested, with pilot users including some of the largest companies in the world. DuPont, Dow Chemical and the food packager and processor Tetra Pak have already experimented with an early version of the platform. Plus, custom agencies in the Netherlands and U.S., and ports in Rotterdam and Houston, have all taken part as well. According to the joint venture’s CEO, Michael White, the new entity is essential given the variety of potentially competing counterparties involved. Within six months of receiving regulatory approval, White expects the company to make its services available for wider use. Among those interested in using the entity’s blockchain solution are General Motors, Procter & Gamble and Agility Logistics, with additional participation from customs and government agencies from Singapore, Peru and China. Also, the global terminal operators of APM Terminals in New Jersey and PSA International in Singapore are slated to use the platform to boost collaboration between their users and improve the way they organize their terminals. According to IBM Global Industry senior vice president Bridget van Kralingen, the venture is part of a bigger effort by the supply chain ecosystem to capitalize on “untapped” resources. “Our joint venture with Maersk means we can now speed adoption of this exciting technology with the millions of organizations who play vital roles in one of the most complex and important networks in the world, the global supply chain,” she said in a statement. The spin-off is the latest development by Maersk since it completed its first live blockchain trades in May and revealed a pilot project in Singapore in August. In September, Maersk also outlined plans to deploy a maritime insurance product using blockchain. According to White, the first two services the new company will offer are being designed to provide end-to-end shipping information and to digitize and automate trade paperwork.